The Grimsby Ice Factory dates from 1900 and is a substantial Grade II* listed red brick industrial building within Grimsby Docks. Grimsby was the world’s foremost fishing port at the turn of the 20th century with a fishing fleet of some 700 boats. The Factory was designed by the engineer W. F. Cott and commenced operation in 1901 to supply the ice for fish packing and onwards transportation, around the UK, to Europe, and further afield in a period before refrigeration. Whilst Grimsby’s fishing industry has declined in recent years, the Ice Factory remains the most striking physical testament to the former greatness of the town. It is understood to be the oldest surviving ice factory in the United Kingdom, and the sole survivor, with its machinery, of this building type from this period. The site is arguably the most prominent physical reminder of Grimsby’s fishing and maritime heritage, the largest fishing port in the world at the start of the 20th century, and consequently it has substantial value to the local community, demonstrated in the founding of the Great Grimsby Ice Factory Trust, a local organisation that aims to restore and reuse the building. In addition to the Ice Factory itself, the area in which it is located – the Kasbah – has national and international significance. The Kasbah, included on the 2014 World Monuments Watch List, is a compact area of 19th- and 20th- century buildings – notably smokehouses – streets and alleyways, which contain many fish-processing and fish-related historic buildings. Whilst currently in a depressed state, the Kasbah and the buildings have great potential to be revived. Following the controversial demolition of a street of historic buildings in the Kasbah in 2016, and the subsequent public outcry, the remaining streets of the Kasbah have recently been designated a Conservation Area (October 2017). The Ice Factory is outside the boundaries of the new Conservation Area. It has been in a state of serious decline since its closure in 1990, with no maintenance or repair work being carried out since that time and the Factory has remained in private ownership. The roof is now severely damaged allowing water into the interiors, and much of its metal work, including copper from the cupola, and electrical fittings have been stolen. There remains a serious concern about the building’s continuing state of deterioration and there have been threats of demolition. The vast size of the building and its spaces lends itself well to a variety of uses, and a mixed use approach would ensure that the scheme would be financially viable. 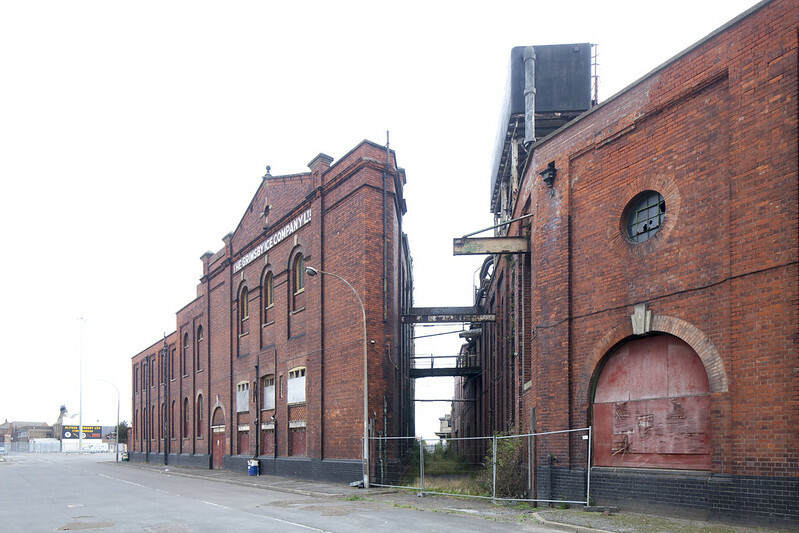 A development proposal initiated by the Great Grimsby Ice Factory Trust, estimated to potentially create upwards of 125 jobs, has so far been unsuccessful in securing funding for the development, resulting in the future of the Ice Factory remaining uncertain. The nominator of the Grimsby Ice Factory is SAVE Britain’s Heritage.